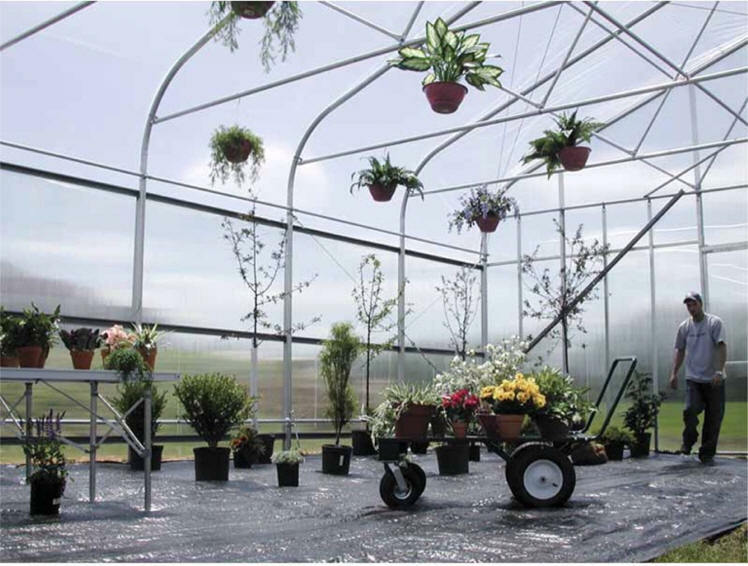 Majestic Gutter-Connect Greenhouses use more of your valuable growing space, with no land waste between greenhouses and are more energy efficient than stand-alone units. Unique gutter-connect modular framework allows you to connect two or more buildings together. The extruded aluminum, highly stable gutters allow you to add additional bays to increase growing capacity, using the most cost effective method. 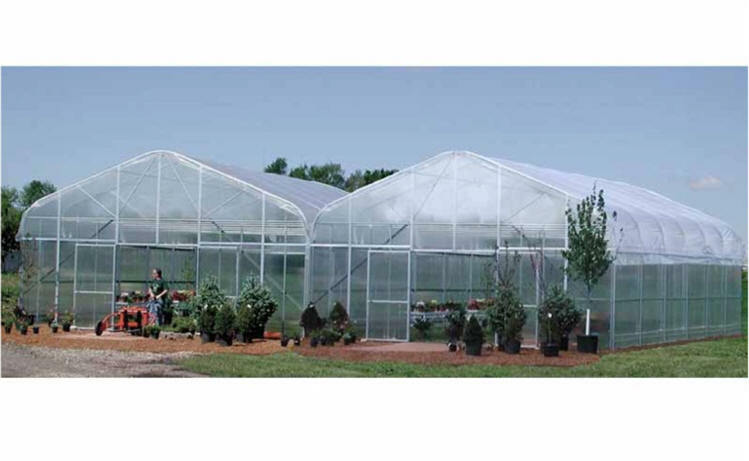 Purchase the greenhouse alone, or save hundreds of dollars and purchase our Super-Gro Equipment Pack with your greenhouse. 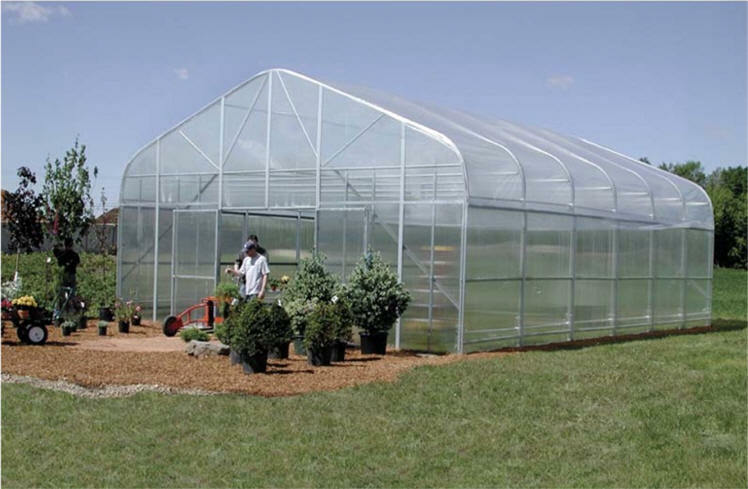 Greenhouse framework is constructed from 14 gauge Allied Gatorshield® structural steel tubing. Both vertical pipes and arches are 2.375" OD. Rafter spacing: 6'. Sidewall height: 9'7-7/8". 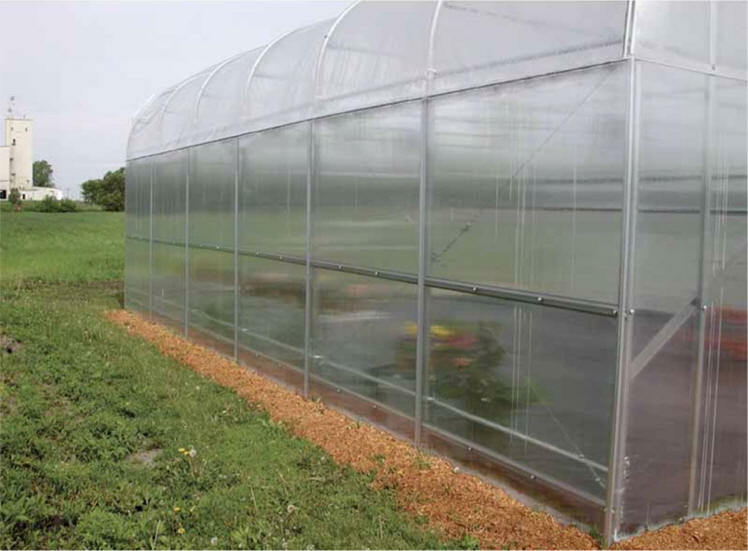 Choose film covering on top with either Roll-Up or Drop-Down Sides and 8mm polycarbonate end pane, film covering on top only with 8mm polycarbonate sides and ends, or complete polycarbonate covering. Drop-Down Sides use our 5.2 oz. greenhouse fabric. Our exclusive "Twist-of-the-Wrist" Assembly, for Roll-Up or Drop-Down Sides, makes ventilation easy. 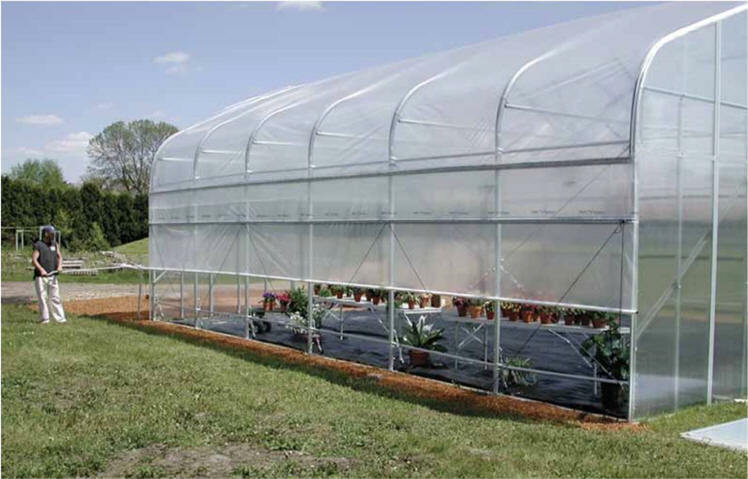 Double layer, 6 mil 4 year greenhouse film with Inflation Fan Kit that, that allows for superior heat retention. Poly latches included. Includes our high-quality, 48"W x 92"H double door; complete with stainless steel hinges and latch set. Optional Double Back Door Kit is available. Units are 16'3/8"H to ridge. Single speed, commercial grade exhaust fan with rugged steel housing and shutters. Modine power-vented greenhouse heaters in your choice of propane or natural gas. DuroStat NEMA 4 thermostats with waterproof enclosure. 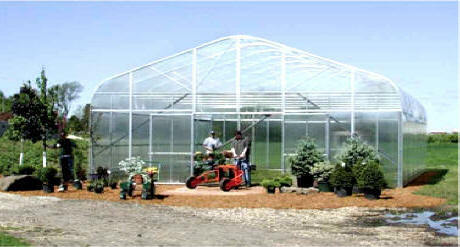 Please note that size and quantity of items are determined by the size of your greenhouse. Natural Gas and Propane versions are available.